To enjoy being outdoors and in the woods and exploring, playing, and running in the woods and other ‘wild’ environments both on and off trail. 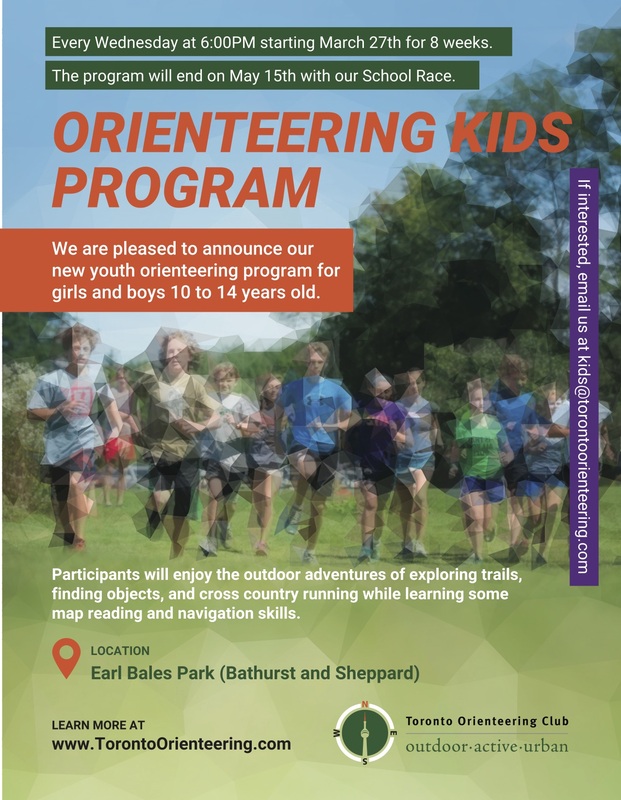 After one or two seasons, they should be able to confidently navigate around novice level orienteering courses and more challenging park courses. To improve their physical fitness, running, and agility. Date: Every Wednesday at 6:00PM starting March 27th for 8 weeks. The program will end on May 15th with our School Race. 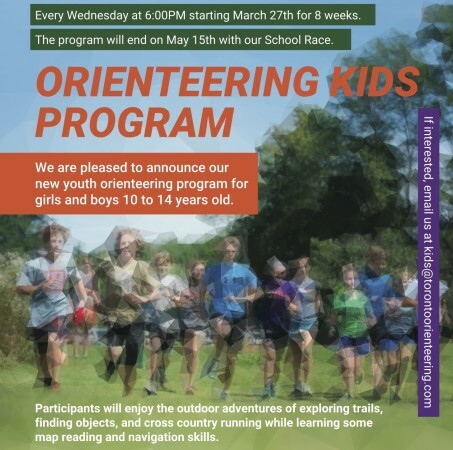 Cost: $140/participant - the cost includes a one year Toronto Orienteering Club membership and the entry fee for our School Meet on May 15th. Contact: Please send us an email if you have questions regarding the program.